Housewarming ceremony is a ceremony or a party which is hosted when someone moves in to a new residence. It is a big reason to celebrate with friends and family. Usually, this ceremony is held within the 10 days of shifting into the new home.Here, in this post you are going to read the best and exclusive housewarming wishes. 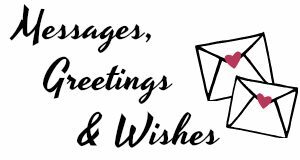 These wishes, messages and greetings can be sent to the one hosting the housewarming ceremony via SMS, emails or greeting cards. If someone near or dear in your social or personal circle has invited you for a housewarming ceremony or is holding a housewarming ceremony, then you should not miss a chance to congratulate him/her and send him/her good luck wishes. After-all moving to a new home to dwell is a matter of celebration and joy. 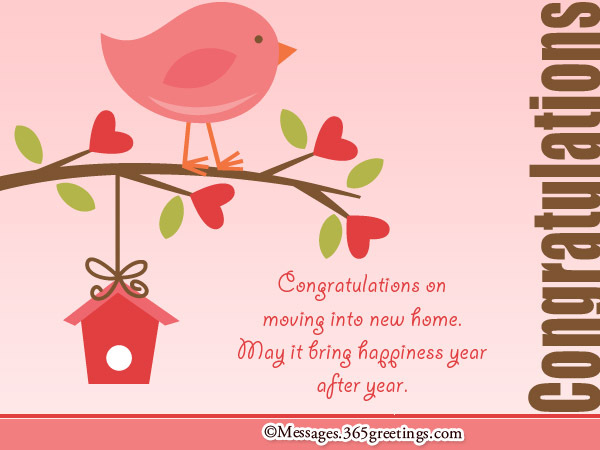 If you are looking for some beautiful and heart warming housewarming wishes messages, then this post will surely going to delight you. Here, you will explore the unique and most beautiful housewarming wishes messages that you can send to your near and dear ones on the occasion of housewarming. be full of warmth, love and happiness. with love, peace and affection. May it bring happiness year after year. Congratulations for the new nest. keep you all happy always. but a home is made by people who live in it. of elegance, beauty and heaven. It is no doubt, a dream come true. Congratulations for this precious possession! for settling in your new home. from all sorts of grief and sorrow. Relax and sleep well in your new abode. Hope it proves a great place of comfort. to the grandeur of your status. In this section, you will explore the exclusive collection of wishes for housewarming. Housewarming ceremony is one of the most joyful and happy occasion of one’s life. Therefore, you should always try to make it more happy and joyful by sending gifts and wishes to the ones holding the ceremony. I shall be discussing the gift ideas for housewarming at the end of the post, till then enjoy reading these wishes for housewarming. with a very warm and wishful heart. the new address of happiness. and painted with love and affection. to such a beautiful abode. Best wishes for new address of heaven. Good luck wishes on housewarming for you! and you may achieve all success in life. and each day is a grand occasion in the new home. Enjoy these moments to the fullest. be prosperous and free of pains. and love is your new home. May God be with you all, always! Don’t hesitate to boast of its features. it really looks like a palace. I lost my heart on it. on buying a new castle of love. and family as you dine. will reap for lifetime ever. It will always bear fruits of love and solace. Have you decided to gift a greeting card for someone in social or personal circle on housewarming? Are you searching for the perfect words and greetings to write on the card for housewarming? If so, then you will be delighted to know that this section is having some of the best and most unusual housewarming wishes greetings. These wishes for housewarming ceremony are suitable for anyone and can be used to send to anyone in your social, professional or personal circle. as beautiful as the owners. and forward journey will be a blissful one. by the people who live in it. out of this new house! You are the owners of happiness abode now. and we welcome you to the new community. Feeling happy to have you as our neighbours! on owning the new house. Best step to start their blissful journey. loved and cosy in your new home. as you own a new house. the foundation of happiness and glory. as you move into your new home. on seeing you finding a new abode! and serve a place of love and peace. Finally your search for new home is over. on you and your family! May you create the sweetest memories in it. with lots of joyful and love moments. General new home wishes messages can be sent to anyone in your personal, social and professional circle. These messages are good for anyone you know, who has bought a new home or has shifted to a new house. 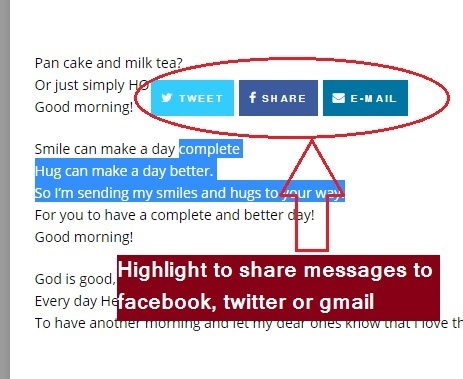 You can send these messages via emails, SMS or greeting cards. sees many happy future generations to come. grows strong in your new home. in this new house of yours. wishes for you new home. and provide you all comfort. of your life in this new home of yours. what a home is worth. Hope it’s worth much more happiness. surround you and your family. Best Wishes for New Home. ….and you live happily ever after. It is always great to make someone laugh, especially during the happy occasions. You can send these funny new home messages to make your friends and pals tickle for a moment and make them laugh. and your drunken pals like me!! to sit and get drunk whole night! you are not going to spare them too! Aren’t these housewarming wishes, messages and greetings just beautiful? I really hope you enjoyed reading these and you will surely use these messages to send to your near and dear ones on thier housewarming ceremony. Now coming to the gifts, that should be sent on housewarming. At first, a beautiful flower bouquet and a greetings card is a universal gift. So, if you are not getting anything else to gift, you can choose this. Apart from it, you can gift something useful like a home appliance, a wall hanging, a show piece, small furniture, an antique etc. You can also gift a God idol to the residents of the new home, in order to make them feel blessed and joyful. Hope you liked this post. Feel free to share it with your friends and family via your social channels. Stay connected for more interesting, useful and fun posts. 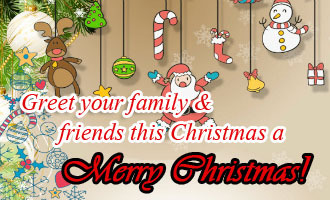 Till then, feel free to explore around our website for more messages, quotes and greetings.